Listen to this track of one Robert Zimmerman AKA Bob Dylan with his 1965 epic length ‘Desolation Row’ , the studio version from his album Highway 61 Revisited and this one from Bob Dylan Live 1966. If you thought that Westerns, Victor Hugo, Shakespeare, Ezra Pound, and T.S Eliot couldn’t live in the same song, then Dylan disagreed. What’s more, he went and wrote it. 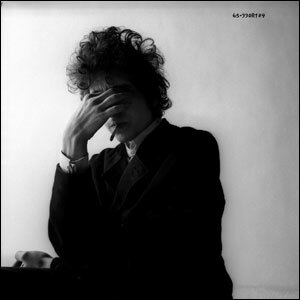 A lot has been written about Dylan’s love of language, and his ability to inspire the same in his fellow songwriters. Yet, it becomes apparent in interviews with him that he is in awe of the songs as we are, particularly recently as he is quoted as saying that songwriting would never be that free for him again. In this sense, the material here is larger than any intent he may have had at the time. And when you consider the sheer scale of what he’s achieved here, it stands to reason. There is something about this track which evokes the underbelly of American society, the end of the world, and garden variety absurdism all at the same time. I think what Dylan was really after was throwing as much imagery at us as he could, and have us decide which images stick for ourselves. Taking it apart verse by verse and trying to interpret the song devalues it, I think, despite the temptation to do so. For me, it’s the images of the characters, and the busy work that Dylan describes that make up their lives. And yet, like each verse, all of that busy work ends up in the same place – Desolation Row. For me there is a lesson there; that Desolation Row is that place our society is headed when we let insecurities and fears of that which we don’t understand get the better of us, as a people. Most recently, this song was covered by My Chemical Romance for the Watchmen movie soundtrack, I film I have just come back from seeing tonight. Their version makes it sound not unlike Billy Idol’s ‘Dancing With Myself’, which is quite an achievement. But, the point is in the spirit of the Watchmen film, the human race does seem to be distracted by greed and fear, and by the pursuit of things which ultimately lead to heartache in an effort to serve both. And perhaps this is another takeaway as far as Dylan’s song goes – that insecurity and acts which go to serve it take us to the places where our insecurities tell us to avoid in the first place; greed into poverty, fear into danger, and possessiveness into desolation. A very nice take on a truly remarkable song, from what may be my favorite Dylan album. I couldn’t agree more that dissecting the song for interpretation devalues it. You take Dylan songs whole. You must. “…don’t send me no more letters, no. Pingback: | "Man In The Long Black Coat"
And what about the soaring acoustic guitar by Charlie McCoy on this song? I think I heard Dylan on Theme Time Radio (or some place) say that he was inspired by Marty Robbins’ “El Paso” (with Grady Martin playing). There is something of the old west in there, of which Marty Robbins was a major purveyor of course. But, this is Dylan’s old west, isn’t it. And that means something which is equally emblematic of American culture, yet filtered through an absurdist eye. That’s one of the things I love about this. Charley McCoy’s work on this is exemplary. Mike Bloomfield and Al Kooper probably steal the show for sidemen on the record as a whole. And McCoy would shine more prominently later onJohn Wesley Harding.